Wow, never saw that one coming. The print your own guns proponent is a creep. In Texas, '3D gun' guy Cody Wilson has been indicted on multiple counts of sexual assault against a minor. Wilson rose to national attention as a self-styled advocate of 3D-printed guns, with the entities "Ghost Gunner Inc" and "Defense Distributed." The charges involve a female "child younger than 17 years of age" whom he is said to have solicited through the website SugarDaddyMeet.com. 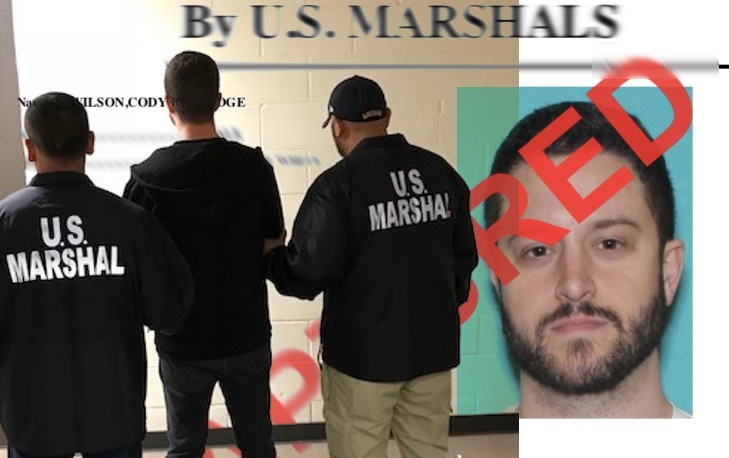 More than three months have passed since a warrant (PDF) initially went out for Defense Distributed founder Cody Wilson's arrest. That document detailed Wilson's alleged sexual assault against a female "child younger than 17 years of age" whom he reportedly solicited through the website SugarDaddyMeet.com. Last Friday, December 28, the State of Texas finally formally indicted (PDF) Wilson. The 3D printed gun advocate now faces multiple charges: four counts of sexual assault of a child, two charges of indecency with a child by contact, and two charges of indecency with a child by exposure. PHOTO SOURCE: US Marshals shared this image of Wilson arriving into custody in Houston on September 23. At right, his 'WANTED' poster.